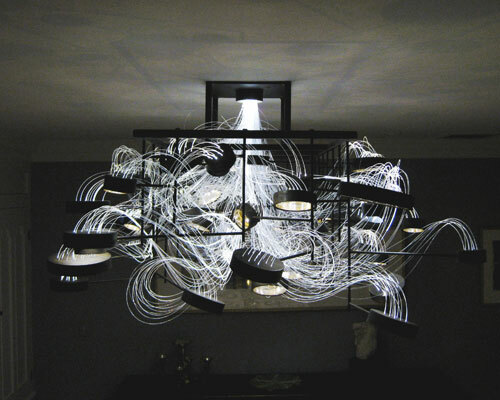 Bacterioptica is a one-of-a-kind chandelier designed by MADLAB. 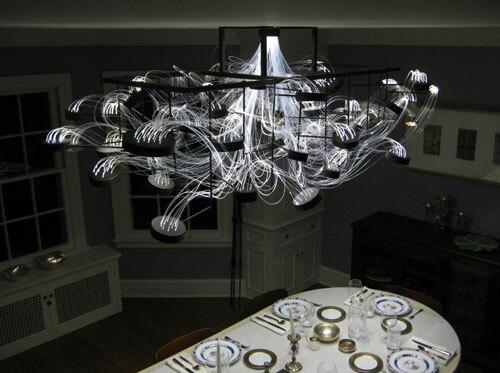 The chandelier is made of Petri dishes, metal rods and 15,000 feet of fiber optics. Artist Kyle Bean made this chicken completely out of eggshells. It’s a humorous interpretation of the age old question, “What came first? The chicken or the egg?” Be sure to check out Kyle’s other work at his website. 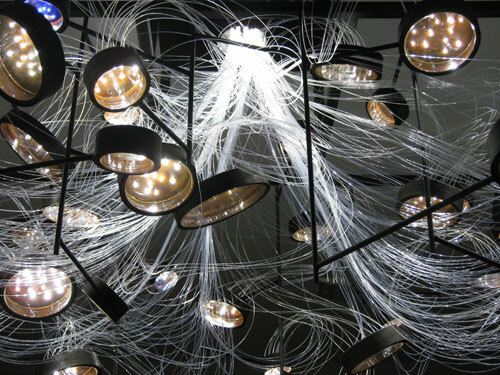 September 28, 2011 September 27, 2011 Art, Cool, Design Leave a comment cupsdrink wareporcelainthe. What appears to be two or three cups nestled within each other is actually only one cup. 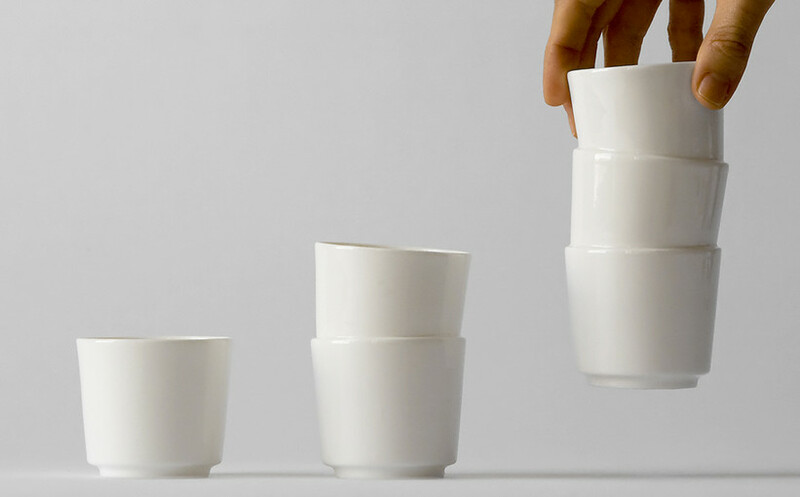 Stacked Cups are available for $60 in white and black, and come in a set of triple, double, and single size cups. Here’s a new interpretation of seating. 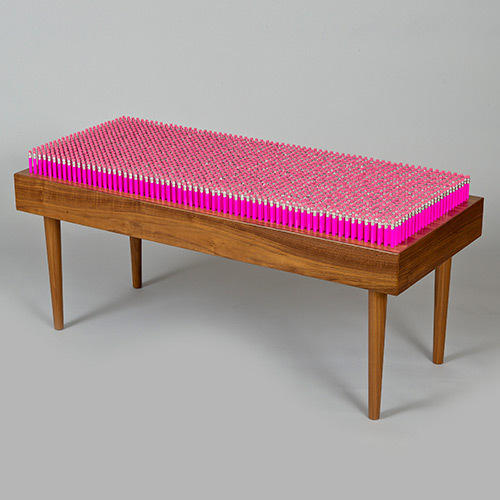 This limited edition “Pencil Bench” in Walnut timber with turned legs is finished in a clear lacquer. 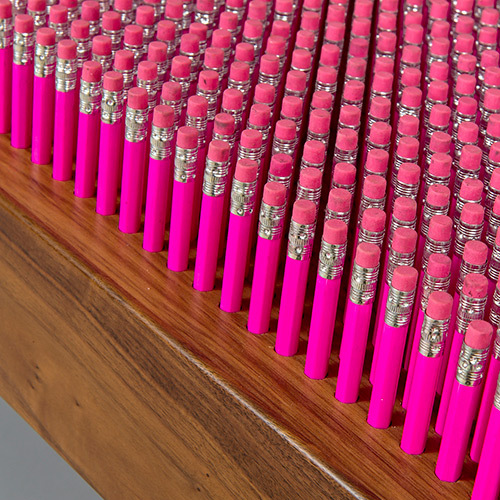 The seat cushion is made from 1625 individually sprung pencils. 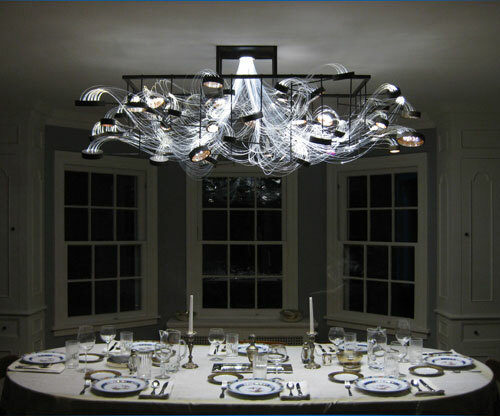 Available through Decoratum for £ 3,250.